Chromoblastomycosis is a chronic subcutaneous infection caused by dematiaceous fungi usually Fonsecaea pedrosoi, Phialophora verrucosa, Cladosporium carrionii, or Fonsecaea compacta through the trauma of the skin. Primarily a warty nodule appears on the skin which is limited to subcutaneous tissue and later it spreads to healthy skin forming plaques. 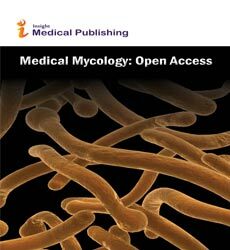 Medical Mycology: Open Access, Epidemiology: Open Access, Paediatric and Perinatal Epidemiology, Journal of Epidemiology, Annals of Epidemiology, Clinical Epidemiology.